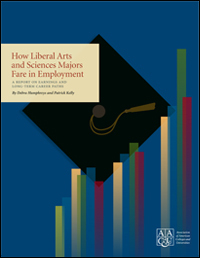 Students, parents, and policy makers interested in the "return on investment" of college education tend to place unwarranted emphasis on the choice of undergraduate major, often assuming that a major in a liberal arts field has a negative effect on employment prospects and earnings potential. 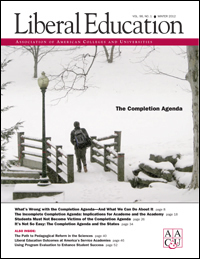 This new report—which includes data on earnings, employment rates, graduate school earnings bumps, and commonly chosen professions— presents clear evidence to the contrary. 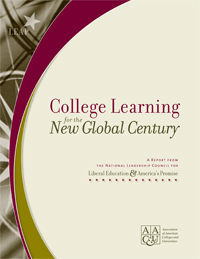 It shows not only that the college degree remains a sound investment, especially in these difficult economic times, but also that— as compared to students who major in professional, preprofessional, or STEM fields— liberal arts majors fare very well in terms of both earnings and long-term career success. 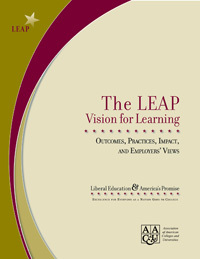 For more information, see: http://www.aacu.org/leap/nchems/index.cfm.